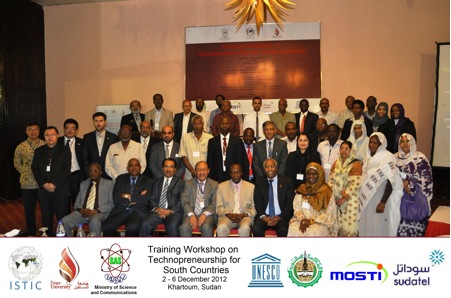 Dr LC Seet (extreme left) was a Speaker and Panel Judge at the recently concluded Training Workshop on Technopreneurship for South Countries held in Khartoum, Sudan. He has also been a Speaker at similar workshops held in Penang, Malaysia in 2011 and 2012. His spoke on the topic of “University Research – Strategy, Innovation & Entrepreneurship”.